WordPress is one of the most popular blogging platforms in use today. 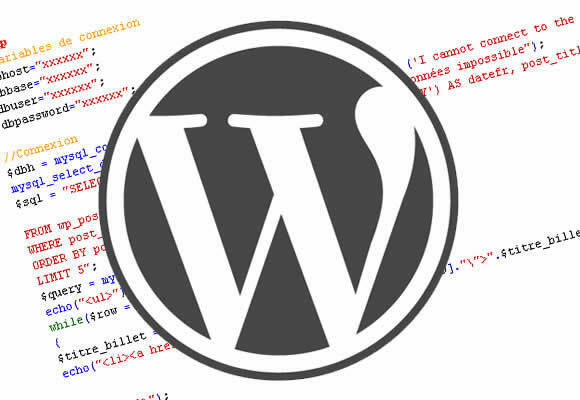 While you can certainly host a blog on the WordPress.com server, many internet marketers and bloggers simply prefer to install the WordPress platform on their own domains. Regardless of how you choose to use WordPress, there are some very simple and useful things you can do to ensure your WordPress site is optimized properly. Here are 10 to keep in mind. Login LockDown tracks the IP address of every log-in attempt. If too many failed attempts come from the same log-in, the plug-in will lock that IP address from any further attempts. Antispam Bee offers a number of features to tailor the plugin to your needs, but basically allows you to hide spam, block specific countries, or use the API key to search and block spammers. WP Security Scan will scan your site files for vulnerabilities and can help you to correct any serious issues. You should create a backup of your WordPress database on a regular basis. One simple tool you can install is the WP-DB-Backup plugin. This tool will allow you to determine where you will save your back-up files, whether you want them saved on your server or on your computer or you want the files sent to an email. You can also schedule the frequency of your backups, from hourly to daily or weekly. The choice is up to you. You need to install a social media sharing plugin so that social media icons, like those for Facebook, Twitter, Digg, and others, show up on your posts or in your sidebar. While your friends and visitors are likely to share your work with others, they are less likely to do so if they have to really put an effort into it. Having icons available makes it easy to share your posts at the click of a button and will definitely increase your social media presence. There are tons of free social media plugins to choose from. Do a quick Google search to find the one that best matches the tone and function of your blog. While almost every WordPress theme is designed with search engine optimization in mind, many are harder to optimize based on your niche than others. The All in One SEO Pack is a free plugin (you can now upgrade to a paid version as well) that makes it easy to ensure all of your main pages and posts are optimized properly. You can edit your meta tags, post titles, post keywords, and on-page SEO by setting up the forms and filling in the extra box on each of your content pages. The value of this tool is immense! Your gravatar is that tiny little image that appears next to the author name or comment poster name on your site. If you don’t have an image on a site that calls for one, you usually end up with the default white man in a grey box silhouette. This looks absolutely silly and seriously allows your user to think you’re just too lazy to fill something in. You can remedy this by going to your Settings panel and then to the Discussion section. You’ll see plenty of options for changing from the mystery man. Your best option, of course, is to upload a real image on Gravatar.com so that it can pull into your posts. The Future Post Calendar is a simple plug-in you can use to keep your editorial calendar in check. The calendar will show the current month and future months and will make seeing where you have a post scheduled a breeze. This will make it easier to fill in the gaps and ensure your posting frequency is up to date, whether you post daily, multiple times per day, every other day, weekly, or with some other posting schedule. The 404 Error pages comes up with a person clicks a link to content that no longer exists. The problem is that if you don’t direct your users to another page they may simply leave your site altogether. Have a colorful and creative 404 page complete with an apology and a clear call to action directing your visitors to your home page or to another category. You can have your web designer create this for you or you can use a plugin to create this effect. WordPress can be scary to beginners but it is actually very easy to use, especially if you are willing to take a few minutes to learn about the different features, functions, and plugins. Take your time, visit web forums, and ask for help. You’ll be amazed at how much you can do with your new WordPress site. About the Author: Deborah D loves using WordPress to build her websites, blogs, and eCommerce sites. She has used free templates, premium templates, and custom created themes but always uses the same set of security plugins and tricks to get things moving smoothly! thanks, very interesting article. Tell please, and whether has value what operating system it is set on the computer?